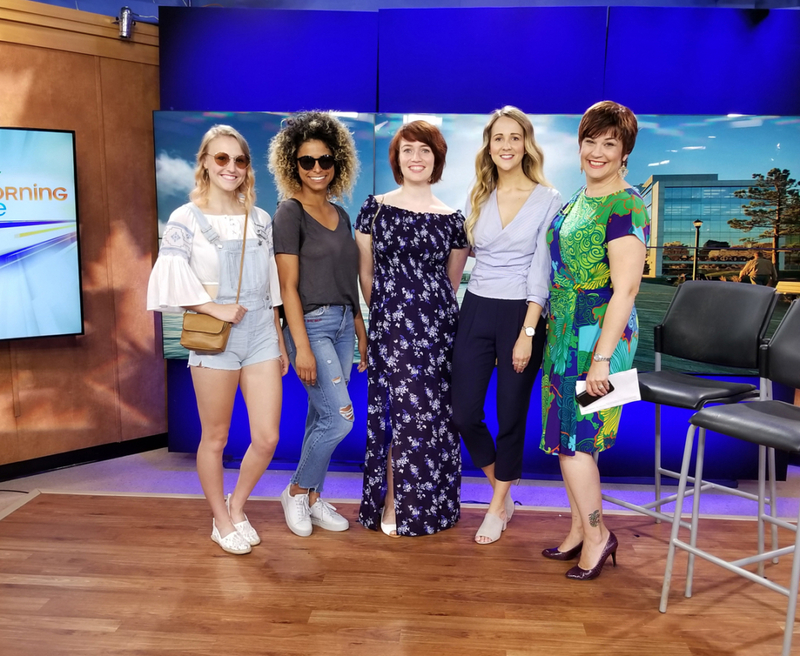 Recently I had the absolute pleasure of stopping by the CTV Morning Live studio to chat with host Heidi, about the new H&M Grand Opening at Halifax Shopping Centre on July 27th, as well as some summer event looks. Summer can pretty much be the worst in terms of trying to look cute right? Like everything just melts, and you feel like your hair is either super limp or super puffy: you kinda can’t win, but you CAN with your wardrobe! We decided to make it a little easier for you, so we chatted about some tips and tricks for what to wear on a road trip, to a music festival, and to a beach wedding. Huge shout out to my lovely models, Catherine Richardson, Maeghan Taverner, and Fiona Ryan. They are not only beautiful, but they are also wildy talented. I’m was so happy to have had the opportunity to work with them, and I can’t wait to do so again!